Guys, skincare is the new beauty frontier. Long gone are the days when skincare was boring and creams smelled like your grandma's face powder. Nowadays there are plenty of choices for your skincare needs, and innovation brings us new ingredients and textures every day. Even department stores and beauty chains put skincare front and center, instead of keeping it in the back of the shop or in the underbelly of their websites where nobody wants to go. Beauty globalization brought us fun and inventive Asian products (sheet masks 4ever! ), and your average anti-aging cream has never been as effective. 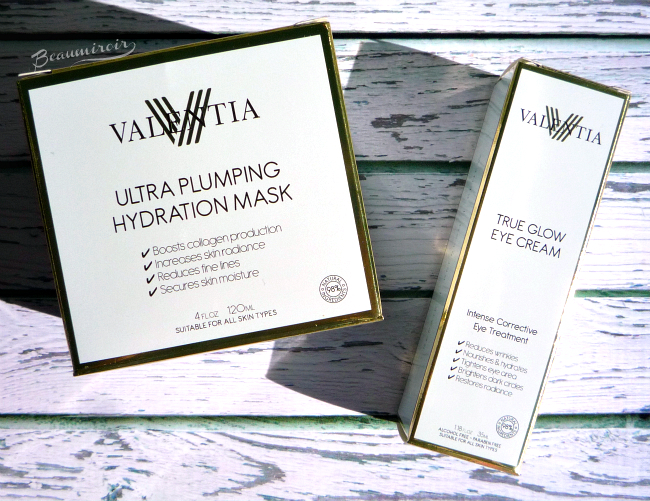 Valentia's True Glow Eye Cream is supposed to have an effect on the three main issues that affect the eye area: aging, puffiness and darkness. It comes in a brown glass bottle with a pump: this is the best possible type of packaging to protect the fragile antioxidants inside, but the pump dispenses too much product for me. About double to triple the amount I need to treat the undereye and upper lid for both eyes! I always use the remaining product on the upper side of my hands, and my skin there has never been so happy actually. 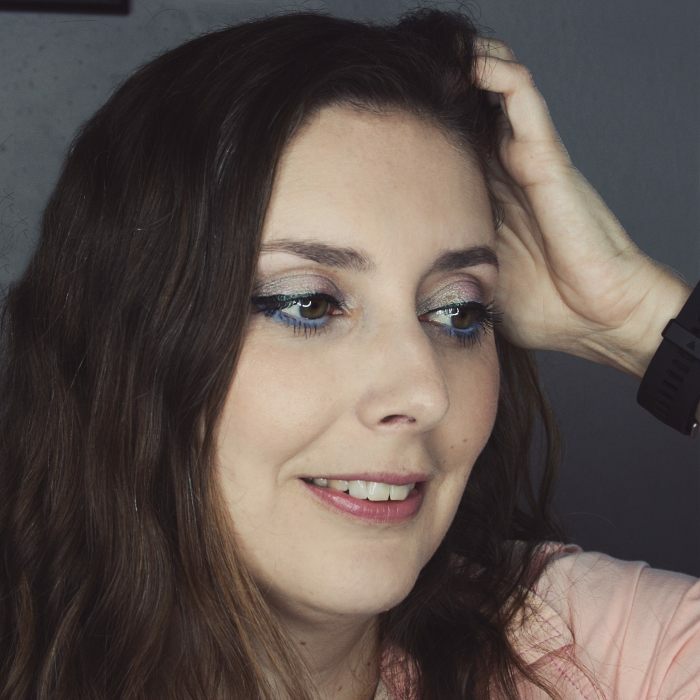 It has a thin, lightweight texture that glides on the skin and penetrates well without leaving a greasy or sticky feeling, and it works fine under makeup. There's a moderately strong grapefruit scent that lingers a bit after application. I find it pleasant but it's something you should know if your skin or eyes are sensitive to fragrances. 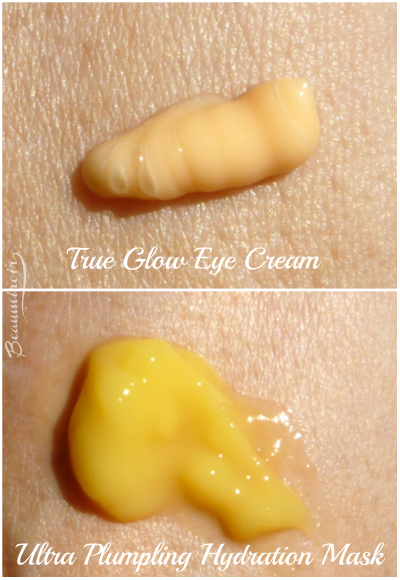 I find the True Glow Eye Cream to deliver a good amount of moisture: it's not as nourishing as a heavier balm, but it's hydrating enough to smooth the skin under my eyes and keep fine lines at bay. After about 3 weeks of daily use I can't say that I've seen much of a difference in my dark circles, but then again, nothing ever seems to have an effect on them... Overall my skin looks healthy and hydrated. This mask is really interesting and rather unique in my experience. It's also made of 98% natural ingredients and has an equally impressive formula, with tons of plant extracts, such as aloe, algae, green tea, rosehip, gotu kola, just to name a few, and some silk proteins. The texture reminds me of jello. The first time I opened it I couldn't help giggling as it shivered when I shook the jar. Yes I'm simple like that... The gel consistency makes it a bit hard to get out of the jar, so it's easier to use a small spatula. Once you get it out, it spreads on the skin easily and the thickness prevents it from dripping. 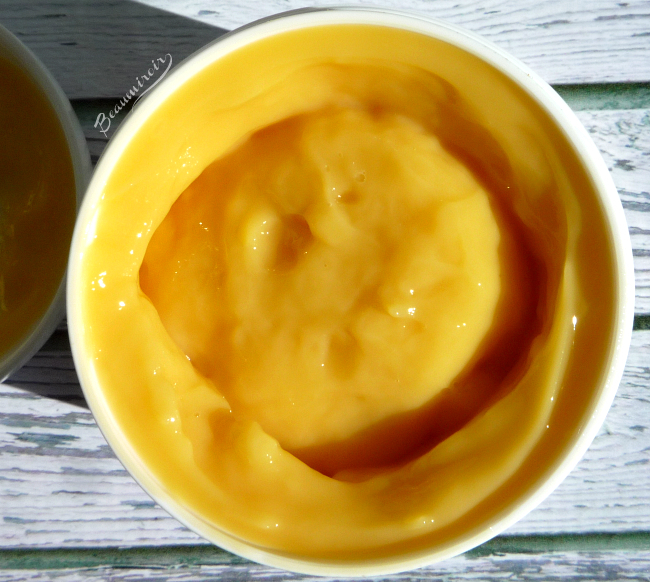 It has a light fruity scent, kind of like berry frozen yogurt! 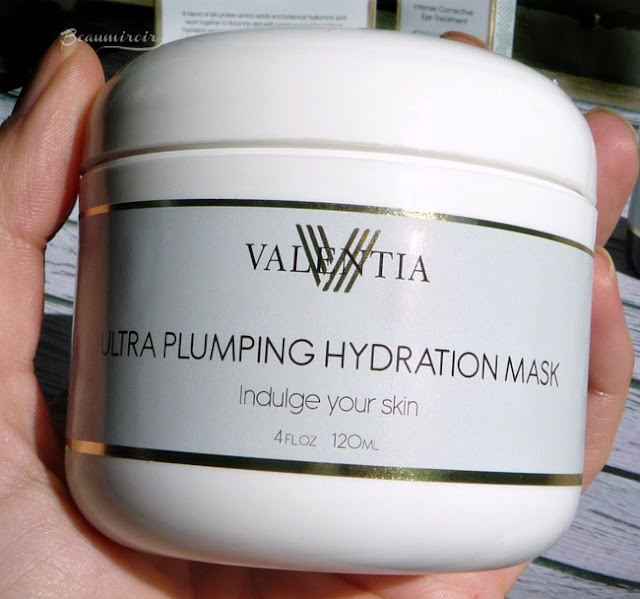 I was surprised by the strong cooling effect that the Ultra Plumping Hydration Mask has on my skin. It's really very noticeable, and it lasts for the 15 to 30 minutes that you're supposed to keep it on. I'm not sure what ingredient in the formula causes this cooling sensation (I'm not seeing any menthol) but it is intense enough to make my face feel cold! That's great on a warm day or post-workout, but I wouldn't advise it to sensitive skin. My face is a bit red as I rinse it out, although the redness goes away quickly. Besides that, my skin is also very well hydrated and soft. 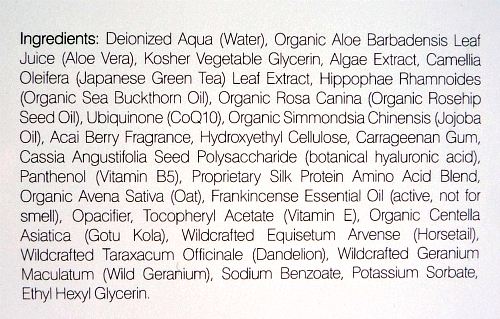 Valentia truly impressed me with their plant based formulas that contain a diverse cocktail of beneficial plant extracts, and I think the ingredients lists speak for themselves! I enjoyed both products for their ease of use and hydrating properties, although I can't advise them to people with very sensitive skin because of the fragrances and cooling substance they contain. If your skin is not particularly sensitive, on the other hand, they're really worth trying and quite affordable at $25 each. Do you look for natural ingredients when you buy skincare? 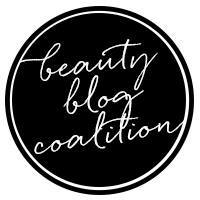 What are your favorite skincare trends? 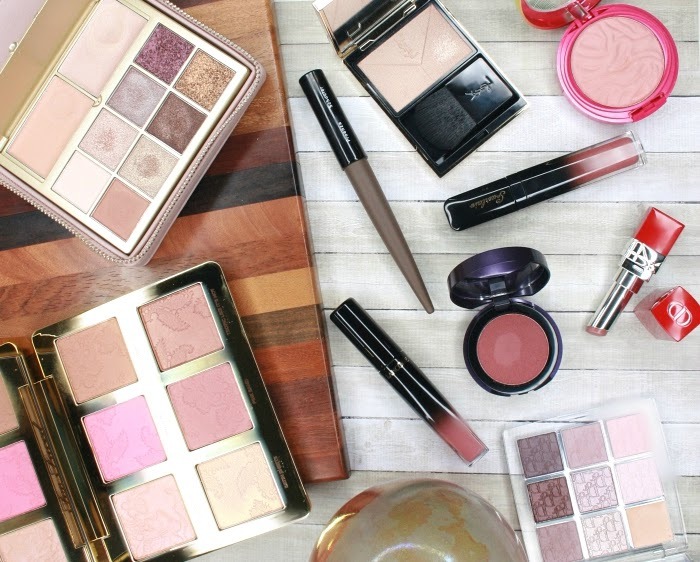 The products featured in this review were sent by the brand's PR for consideration. I received no compensation other than free samples to write this post, which only reflects my personal opinion. This post contains affiliate links.